I created my informal reading assessment for Jasiah by creating a check list. I was assessing on her identifying pictures by having her show me what she wants out of a field of three which I am focusing on, a book, play food, or a puzzle. Eventually, I want her to be able to use these pictures to tell the staff what she wants from them for leisure activity. I created this assessment for student teaching. I used a structure program for teaching the students how to read. The reading program is known as ELSB which stands for the English Language Skills Builder Program. 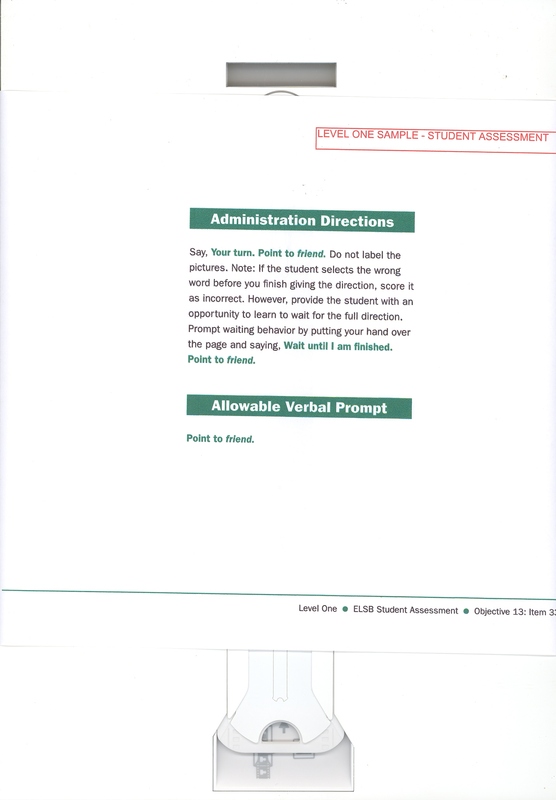 About every two to three weeks I try to make sure that I am assessing the students on their particular level. I feel that the students are making great improvements so far. The students need to achieve a percentage of 85 for higher to get into the next reading level. I feel that throughout the assessments, both formal and informal, I have gained understanding of how important it is to record data and how it should drive a teachers instruction. More and more today, teachers are required to show data on their students goals every two weeks, and on what else the students might be trying to learn. I feel that it was great practice for me to work on the assessments. I placed these two articles under Standard 8 because it clearly demonstrates the knowledge of assessments and because I have two different forms of assessments. This artifact will give me insight on what kinds of assessments I could make on students and help me remember that assessment should drive instruction.